Why Train with Peaceful Warrior Training Group? 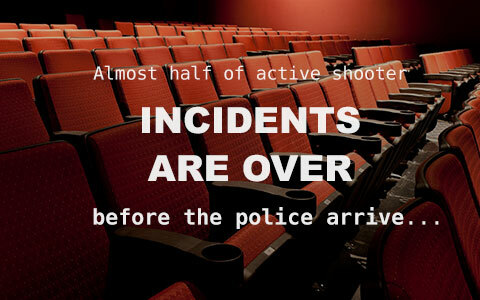 Peaceful Warrior Training Group supports and recognizes many national active shooter training organizations as well as local law enforcement. 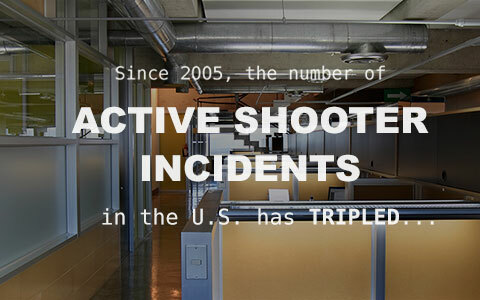 What makes Peaceful Warrior unique is its three tier approach to active shooter events (A.S.E.). First, Peaceful Warrior Training Group provide preventative measures in an attempt to stop future attacks. Next we provide a comprehensive and in-depth break down of the lifesaving techniques one needs to help survive an A.S.E. 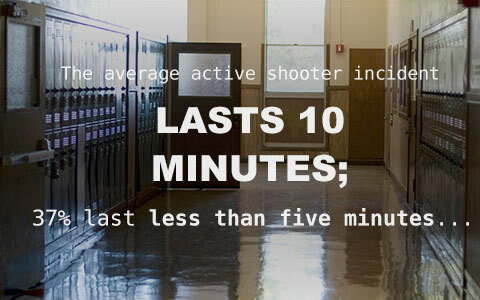 Peaceful Warrior then couples its unparalleled approach to A.S.E.s with Active Shooter First Care Trauma Treatment to prepare those caught in an A.S.E. with crucial lifesaving skills. Peaceful Warrior Training Group breaks down active shooter responses and teaches specific, practical tactics like no one else to empower those who we train. We don’t just tell you to Run, Hide, Fight, we show you how and when to “Move with a Purpose.” Your “purpose” will be identified through the context of your situation allowing you to move from one option to another as well as combining options and tactics. We reinforce decision making through practical exercises and scenarios that enhance ones ability to identify and enact an appropriate response. In a world where targeted acts of violence are growing and evolving, Peaceful Warrior’s Training is a highly valued addition to any organization’s emergency preparedness, crisis planning and training. Whether its your staff’s personal safety, or preparing to meet the challenge of a violent extremist’s/terrorist based complex coordinated attack, Peaceful Warrior will strengthen both your organizations preparedness and response while empowering each individual staff members ability to prevent and respond to these tragic events. No matter if your a learning institution, day care, manufacturing/retail organization, healthcare facility meeting current CMS Preparedness Rules, a chemical facility working on its Anti-Terrorism Standards (CFATS) or any entity in between Peaceful Warrior Training can assist your organization. PW Training Group will show you what to do, to be the difference.